If you've only downloaded apps from the official store for your phone's operating system and have been careful about which files you open (typically via email), there's a good chance your phone doesn't have a virus. 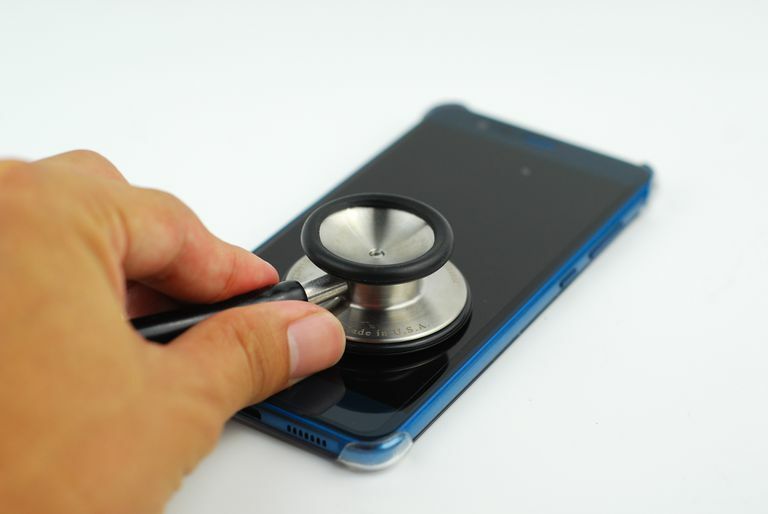 However, viruses and other maladies can affect both smartphones and tablets, so let's take a look at your device and see if we can figure out if it has one. Yes, in much the same way computers do, with code sent through apps, email, or even text messages. Technically, computer code is defined as a virus when the code self-duplicates after the device gets infected and then destroys data or tries to send itself to another device. So, while smartphones can get viruses, they are rarer than other issues. How Did My Phone Get a Virus? The most common way phones get viruses and other issues is through apps, attachments via email, text messages, and even nefarious web sites. What Kinds of Viruses Do Phones Get? Ultimately it doesn't matter what kind of virus your phone may have, since, no matter the type, it will need to be addressed. But, it’s likely one of those listed here. In addition to limiting your phone’s functionality, viruses can cause more serious damage in your life by deleting data, gathering private information, or making (or attempting to make) unauthorized purchases. You have apps on your phone that you didn’t download. Check your app list to see if there are any there that you don’t recognize. Your phone crashes regularly. If it happens once and there are no other symptoms, a virus may not be the issue. But if it starts happening frequently, a virus is likely the cause. Your battery drains much faster than usual. If you’re using your phone as you normally do, but you run out of juice more quickly, that’s another likely sign. You get more pop-up ads than usual. A virus can cause pop-up ads to become even more common and annoying. Data usage increases with no logical explanation. If your mobile bill shows much more data use than usual, and you’re using your phone as you normally do, a virus is likely the reason. You get additional texting charges on your bill. Some malware sends text messages to premium numbers, driving up your charges. If you suspect you do have a virus, you’ll need to take action to remove it from your Android device. How Can I Prevent Phone Viruses? There’s a lot you can do to prevent your phone from getting a virus. Stay up-to-date. Download and install a reputable antivirus app for your phone. Additionally, always agree to operating system updates. Download and use these apps before you think you need them. In addition to detecting viruses, they can protect your phone from getting them in the first place. Use approved apps only. Be sure to only download approved apps from Google Play for Android devices, the App Store for iOS devices, or the Microsoft Store for Windows-based devices. Even then, be careful. To make sure you’re getting a quality app, read the reviews, check out the developer’s website, and look for any other telltale signs that you may be getting more than you bargained for. Be email-savvy. Use the same email hygiene you employ when looking at messages on your computer. Be wary of attachments, and only open those from trusted sources. Use the same level of caution with links embedded in a message. Finally, be wary of messages that look like they’re from companies you do business with. Many scammers send fake emails, which often feature the telltale signs of slightly-off email addresses, poor grammar, and requests for you to “update your credit card information” or other phishing schemes. Unfortunately, these messages also often include a legitimate looking logo from the company the scammer is posing as. Monitor texts. Maintain the same level of skepticism regarding text and social media messages, as well as ads. Trust your gut. If something seems “off” about any activity you’re doing on your phone, take a step back and ask yourself if proceeding is worth losing your phone’s functionality or some of the data it holds. The claim "iPhones can't get viruses!" isn't exactly true. Any iOS device is a computer and any computer can get a virus. However, if you haven't jailbroken your iOS device, the chances you have a virus are low. If you search the App Store, you won't find any apps with the title Anti-Virus (other than maybe a game or two). Apple's iOS is designed such that App A can't interfere with the space where App B is working. That goes for the entire operating system, so an app can't search your iOS device for viruses because apps can't reach every space. However, it is possible to download an app from the App Store that does more than it claims. Pay attention to the privileges any app requests. For example, most games don't need access to your photos, camera, or microphone.